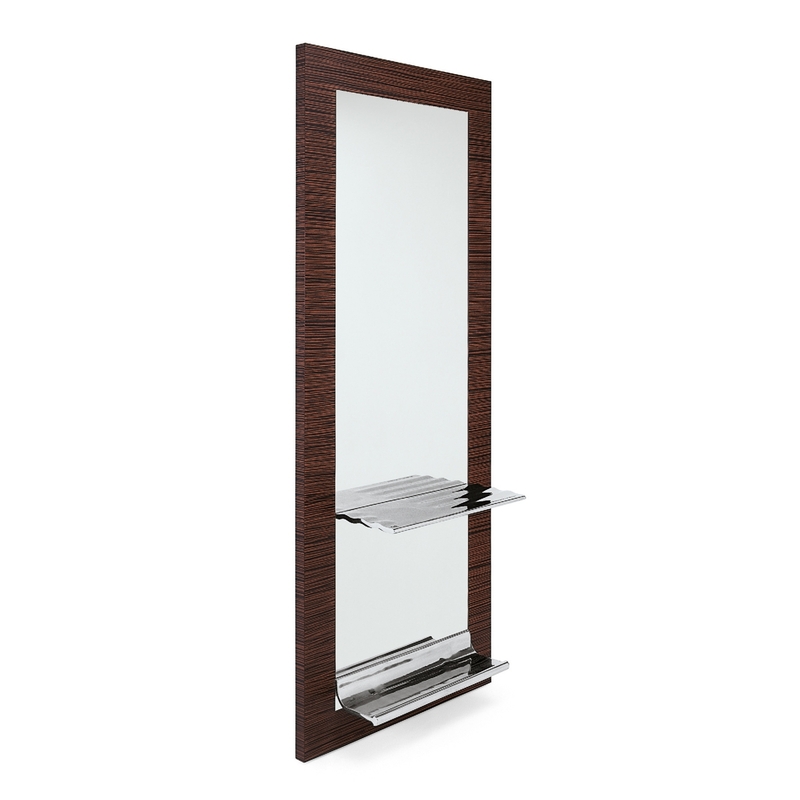 Styling unit with frame in varnished beech wood. Rectangular shaped mirror on a prelaminated structure. Shelf and footrest in polished aluminum. Made in Italy. INTERNATIONAL DESIGN PATENT.